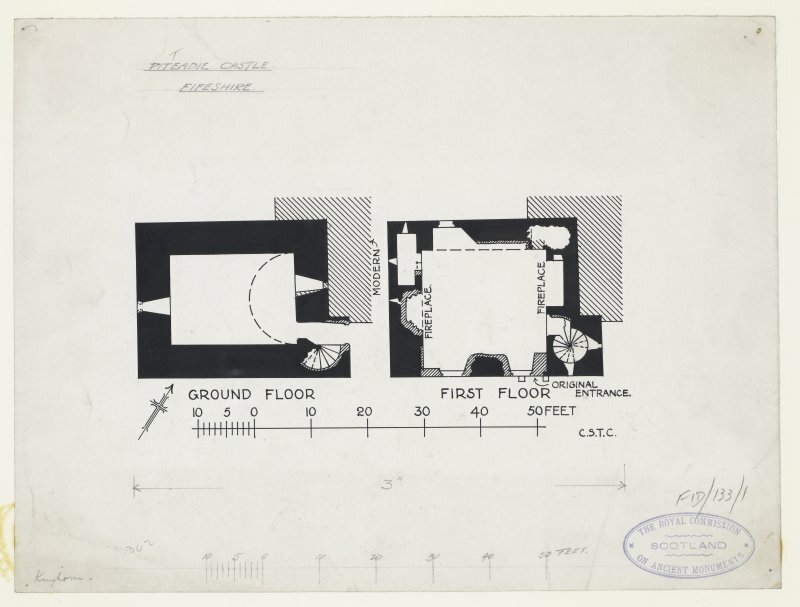 Plans, first and ground floor. 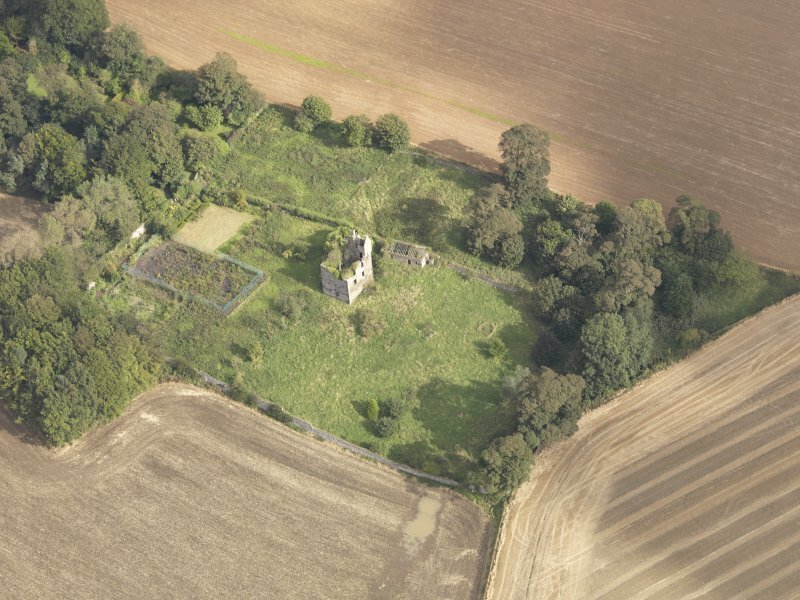 Oblique aerial view of Piteadie Castle, looking to the NNW. 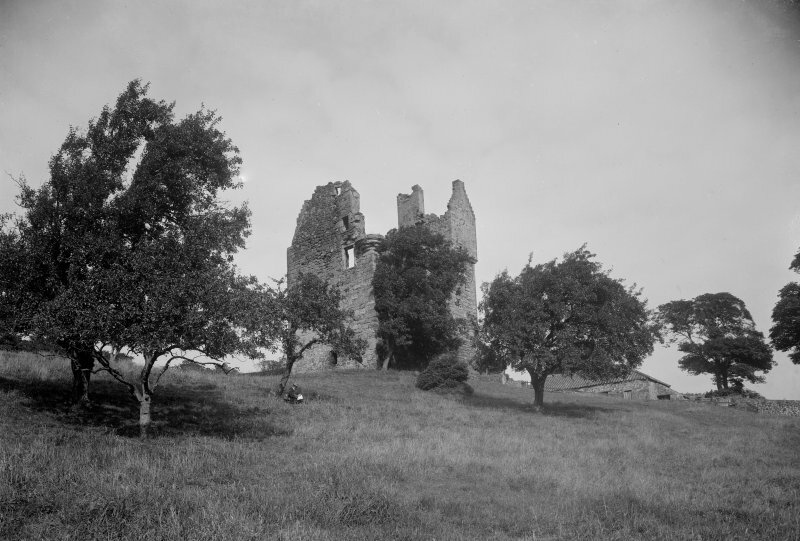 Piteaddie Castle, view from east. 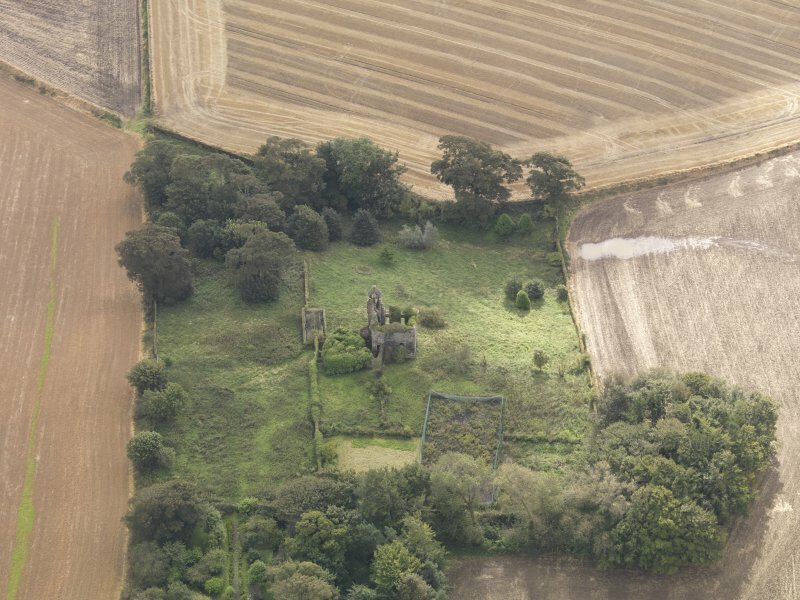 Oblique aerial view of Piteadie Castle, looking to the S.
Oblique aerial view of Piteadie Castle, looking to the NE. 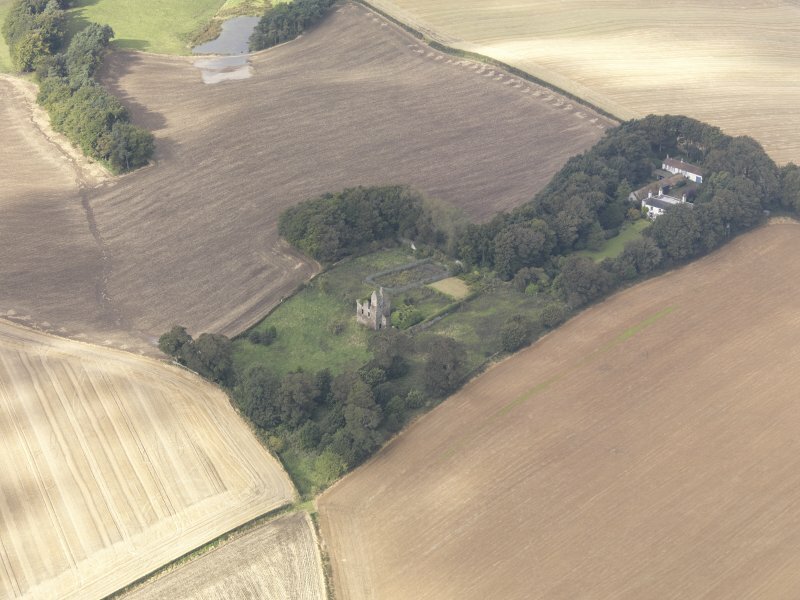 Oblique aerial view of Piteadie Castle, looking to the SW.
Oblique aerial view of Piteadie Castle, looking to the SSE. 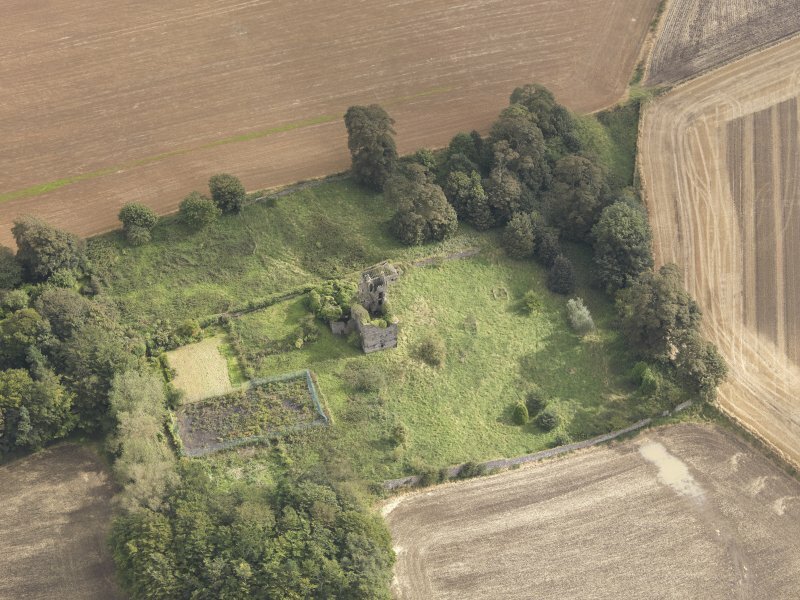 Oblique aerial view of Piteadie Castle, looking to the WSW. 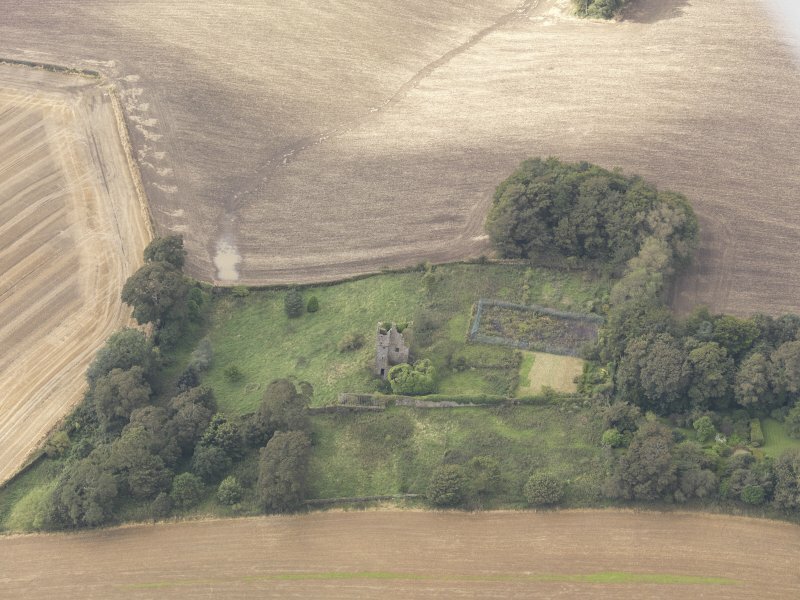 Oblique aerial view of Piteadie Castle, looking to the ENE. 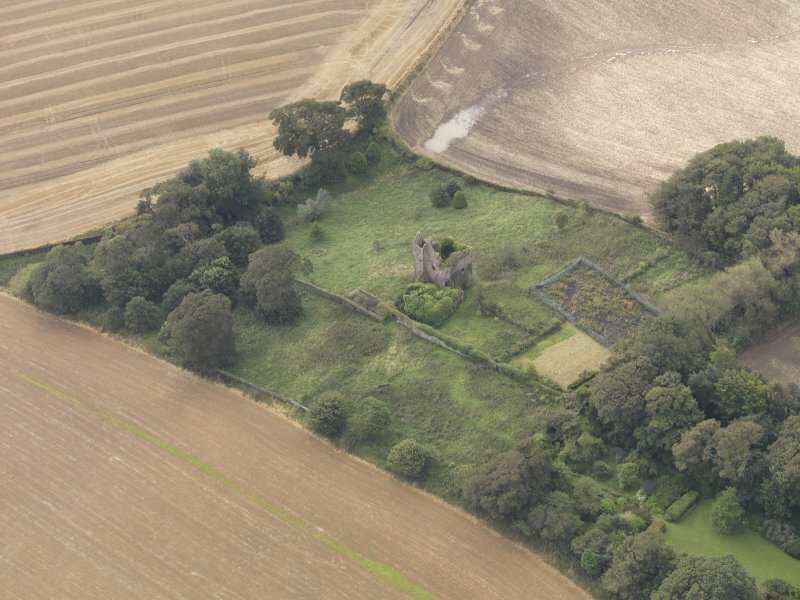 The remains of Pitteadie Castle stand 1 1/2 miles N of Kinghorn. They are in a bad state, the upper works being in a dangerous condition. 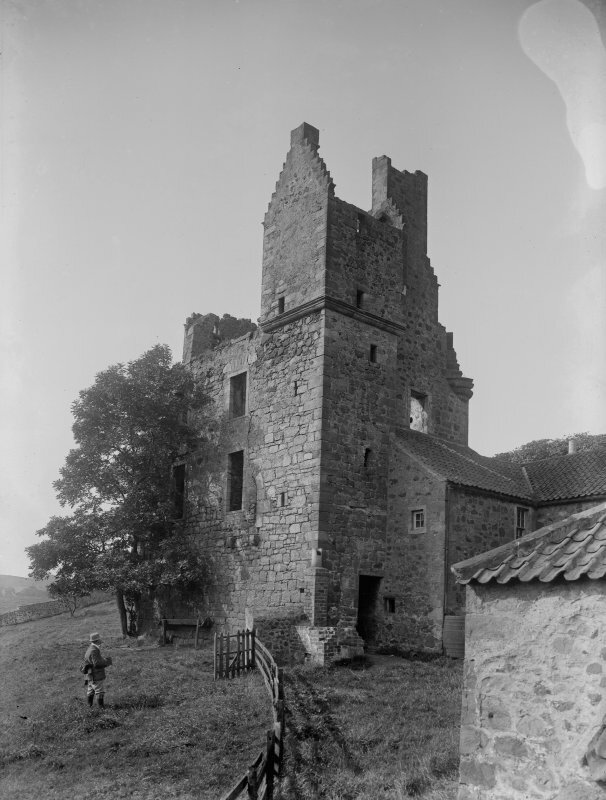 The castle is a free-standing, rubble-built oblong tower, measuring 33 1/2' by 27 1/2'. It was originally built probably towards the end of the 15th century, but considerably altered two centuries later. 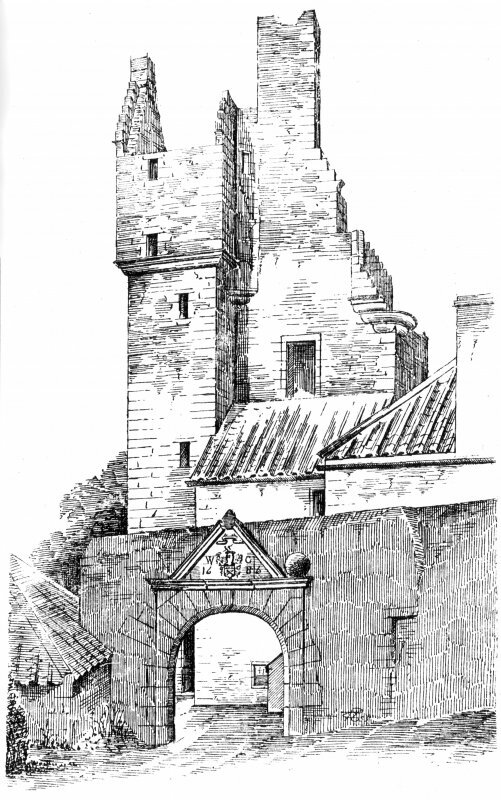 The castle is surrounded by a 17th century park wall, in which are two Renaissance gateways. 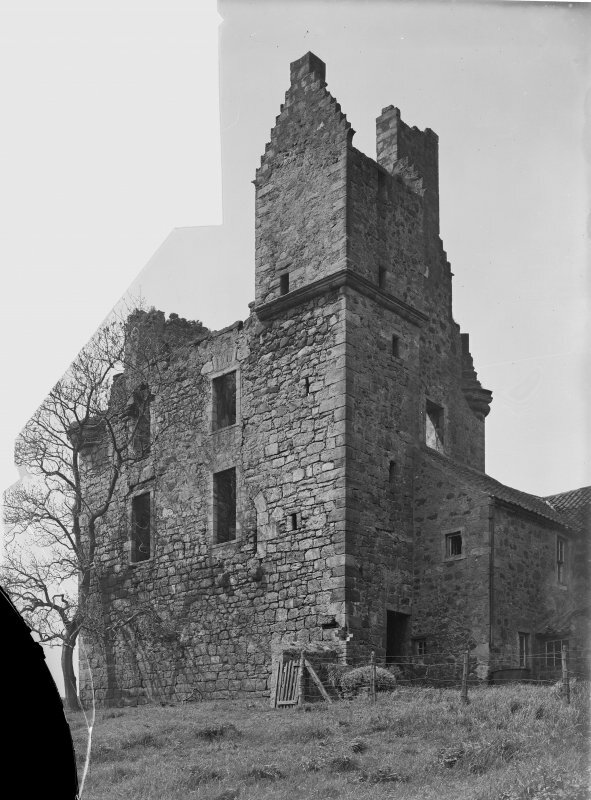 Piteadie Castle, as described by the RCAHMS, is in a fair state of preservation. 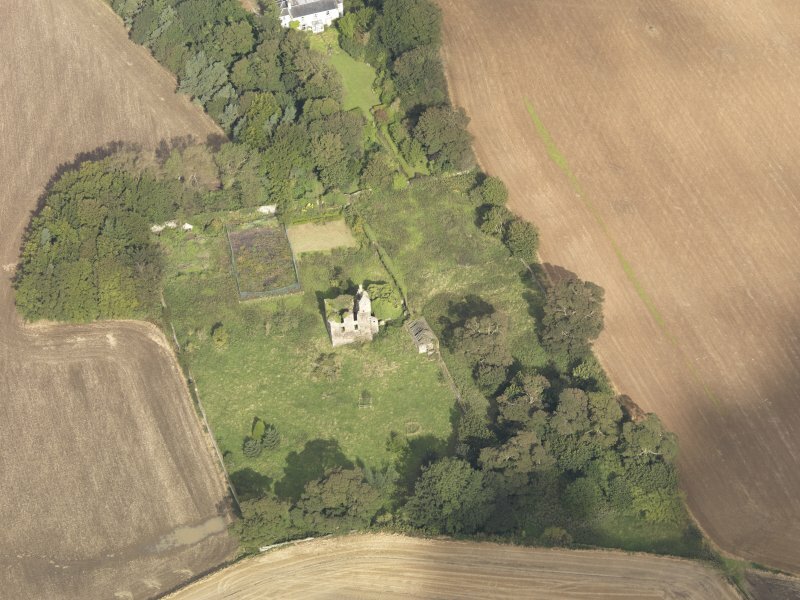 The two Renaissance gateways, dated 1686, are situated at NT 2568 8912 and NT 2575 8913. Visited by OS (W D J) 5 February 1959. Visited by OS (S F S) 15 December 1975.